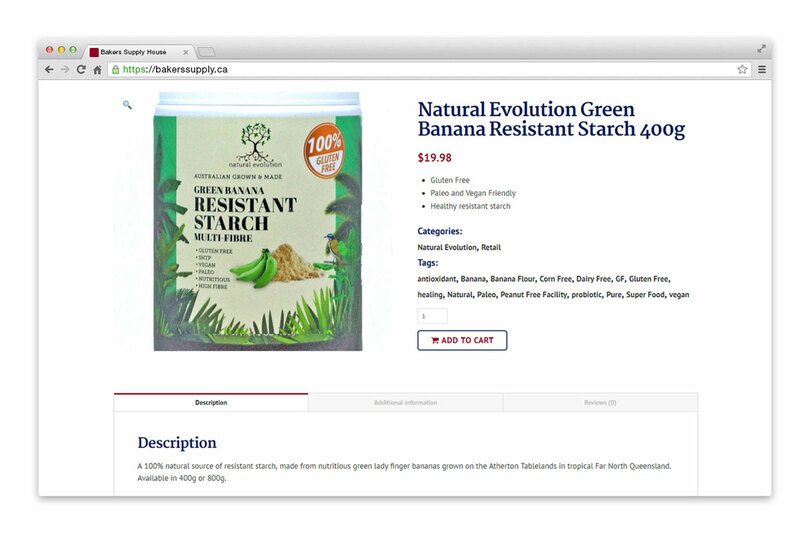 Bakers Supply House | NetClimber Web Design Inc.
Bakers Supply House provides high quality vanilla extract, baking powder, food colouring and spice mixes to the marketplace. They wanted a website that presented a professional image to current and potential customers. 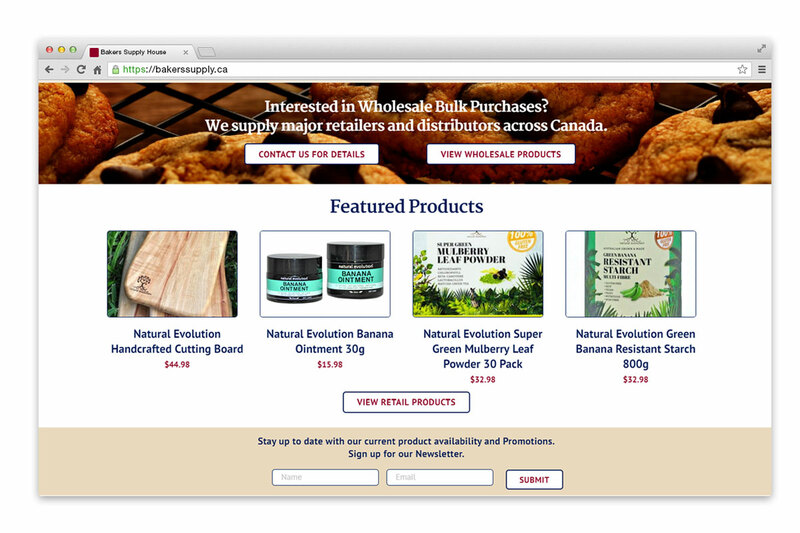 The company wanted an online store that could draw in potential new retail and wholesale customers. Functionality was needed to offer either a payment gateway for retail clients or a phone-in order option for wholesale clients. 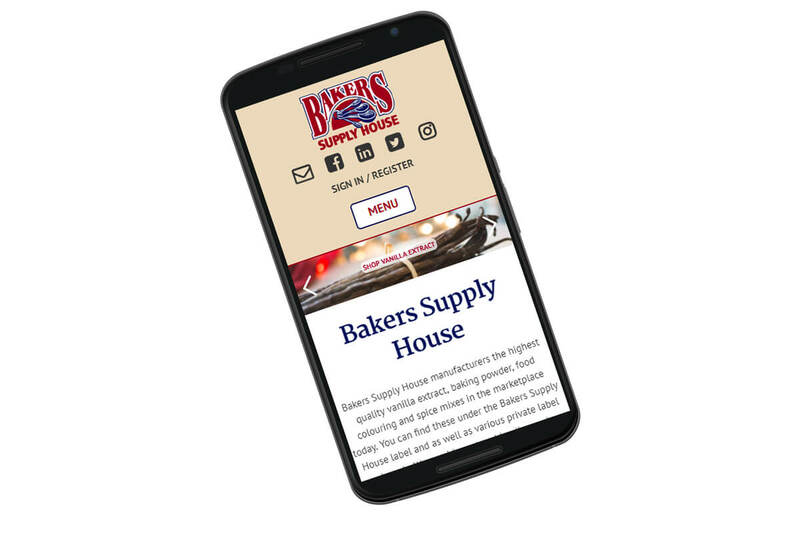 Bakers Supply House caters to a growing market so the site had to be able to handle growth. 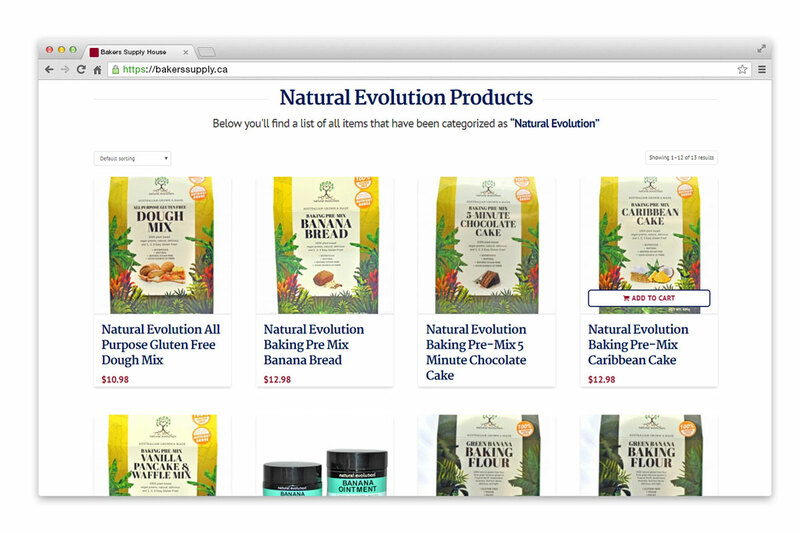 We did this by providing options using categories and tags to make the products easily found and by using cross-referencing between the retail and wholesale products. Being able to add images into Description fields took some extra development but the option is useful for certain products – see example. 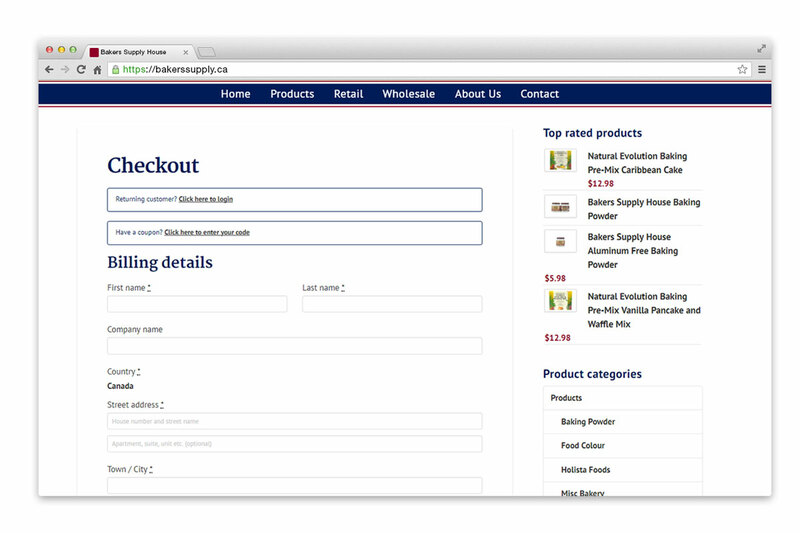 After the site was built and the Payment Gateway configured, shipping modules needed to be activated. Just prior to site launch, NetClimber’s Social Media Strategist Sean Coffey, built pages for Facebook, LinkedIn and Instagram and Twitter.